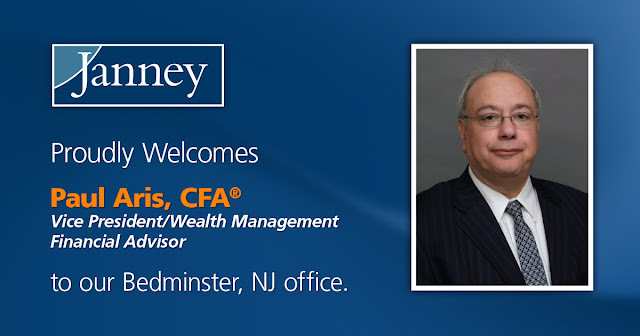 PHILADELPHIA, PA – January 30, 2018 – Janney Montgomery Scott LLC (“Janney”), a leading full-service wealth management, financial services, and investment banking firm headquartered in Philadelphia, PA, announced that Paul Aris, Vice President/Wealth Management, has joined the Firm’s Bedminster, NJ branch office. 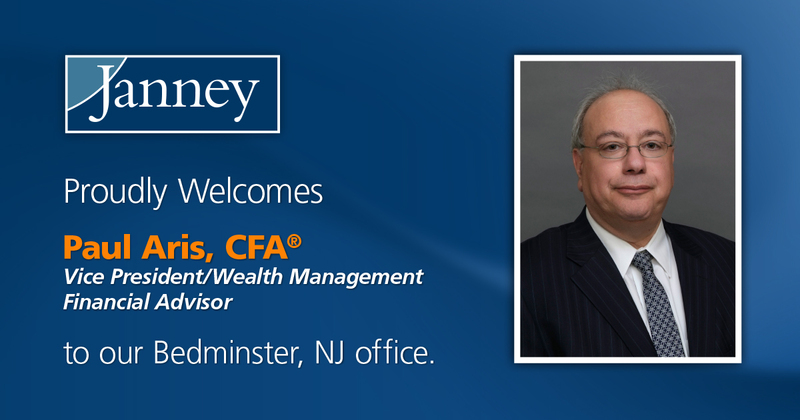 Aris brings over 30 years of financial services industry experience and was previously affiliated with Merrill Lynch. Aris holds The Chartered Financial Analyst designation, awarded by the CFA Institute. He earned his M.B.A. with distinction from the Wharton School, his M.A. in International Affairs from the University of Pennsylvania, and a Master in Engineering from Cornell University.